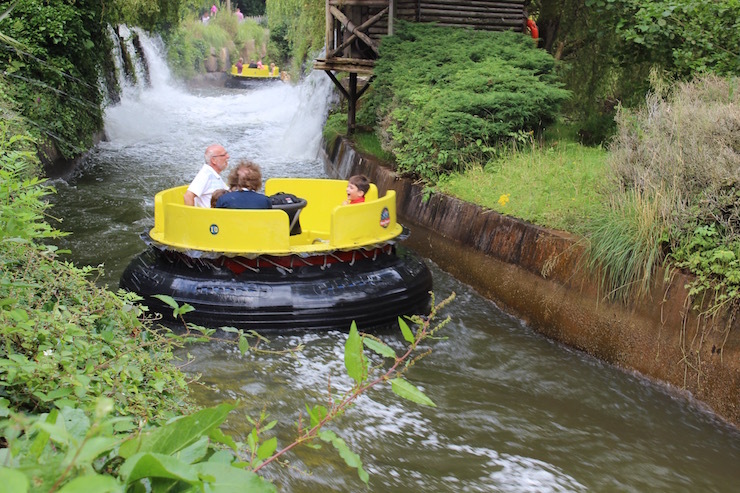 Travel blogger Gretta Schifano of Mums do travel took her family to Alton Towers to report for BritMums about the family friendliness of the UK’s favourite theme parks. 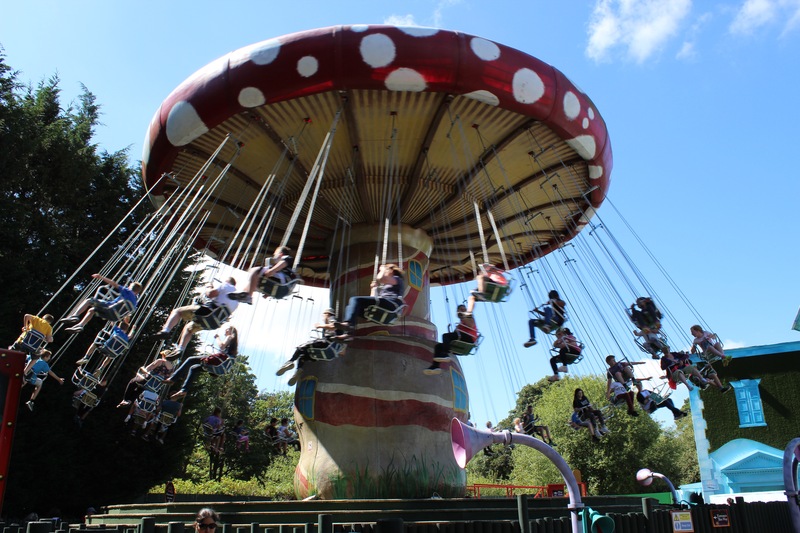 If you’re after a theme park with something for all ages, Alton Towers is a great option. The park is in the grounds of a ruined gothic mansion, and there are beautiful gardens to explore if you need a break from the rides. What can my 3 year old do there? 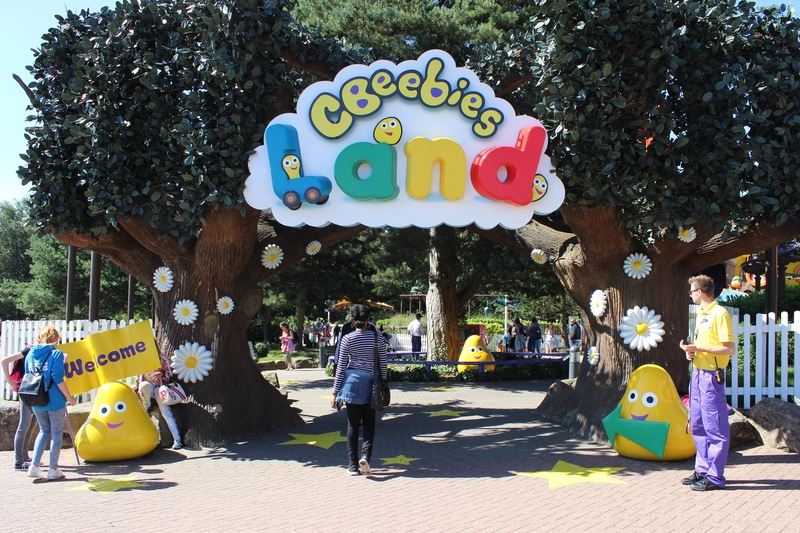 Head to CBeebies Land if you have toddlers in tow. There are rides, entertainers and shows featuring favourite characters such as the Octonauts, Igglepiggle and Tree Fu Tom. Look out for Postman Pat’s van! What can my 9 year old do there? Lots! The Ice Age 4D Experience is a fun show for kids and adults alike, and the nearby rides (such as the Twirling Toadstool) are good for this age group. Congo River Rapids is a splashy water ride and the Sharkbait Reef SEALIFE centre is fascinating. What can my teenager do there? 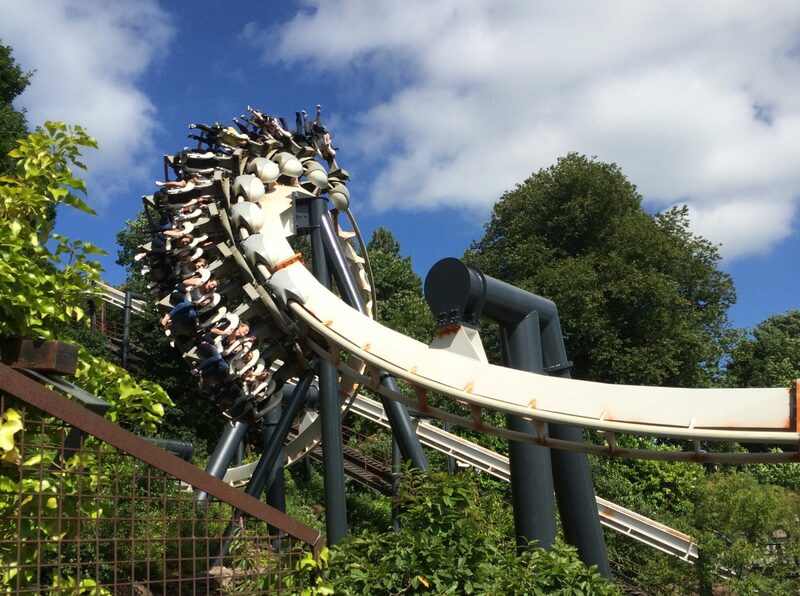 If they’re brave enough, there are some world-class rollercoasters to experience at Alton Towers, including Galactica, the world’s first rollercoaster which is fully dedicated to virtual reality. Duel is also popular – it’s a competitive laser gun ride through a haunted house. On our visit, we had lunch at The Burger Kitchen (£7.25 for a burger, chips and a drink). It was self-service, and the food was OK, if a bit soggy. We tried the Rollercoaster Restaurant for dinner, and weren’t at all impressed with the food – although it’s fun having your order delivered to your table by rollercoaster. I thought that the food at the restaurant was overpriced – main courses cost from £11.95 to £29.95. I think that the best option is to take a picnic with you to the park rather than buying food there. The theme park is part of an 800-acre resort, which includes hotel, lodge and treehouse accommodation. We stayed a 30-minute drive away at the Hilton at St. George’s Park, the FA’s National Football Centre. My football-mad 13 year-old son was delighted with this option. Which was the family’s favourite ride? My son liked Nemesis best. My husband’s favourites were Nemesis, Galactica and Oblivion. My favourite ride was the Congo River Rapids. Which was the best for thrills? The rollercoasters were the best for thrills. What are the baby change facilities like? There are baby change facilities included at all of the toilets. There are rides and activities on offer for all ages at Alton Towers – and if rollercoasters are your thing, you should definitely go there. There are long queues for some of the rides, so think about buying Fastrack tickets. Address: Alton Towers, Farley Lane, Alton, Staffordshire, ST10 4DB, England. Price of adult ticket: From £36.12 if booked online at least seven days in advance. Price of child ticket: Under-12s from £31.92 if booked online at least seven days in advance. Under-3s free. Price of family ticket: From £30.66 per person if booked online at least seven days in advance. Maximum of two adults per family ticket. Park opening times: The theme park is generally open from mid-March until early November. Opening times vary depending on the season. Check the website for exact dates and times. Special events occurring this year: For Halloween there’s Spooktacular Family Fun and Scarefest at the park. Vote out of ten: 7/10. Be prepared for splashy rides and changeable English weather – take a waterproof layer and wear comfortable shoes. Alton Towers theme park review and Hilton at St. George’s Park review. Great post by Gretta:) We celebrated my youngest sons 2nd birthday at Alton Towers in May. I thoroughly recommend CBeebies Land for tots through to young primary school children. My eldest aged 5 absolutely adored it too. He still watches CBeebies and so loved meeting the Zing Zillas, Postman Pat and riding on the Octonauts roller coaster. We stayed in an Enchanted Lodge which I can also thoroughly recommend. The lodges have a separate curtained off kids room so my husband and I were able to watch tv and enjoy a bottle of wine without the need to creep around in the dark like we normally do when we stay in a hotel with our boys!